Snapped this on a tram stop outside the Childrens’ Hospital this morning. 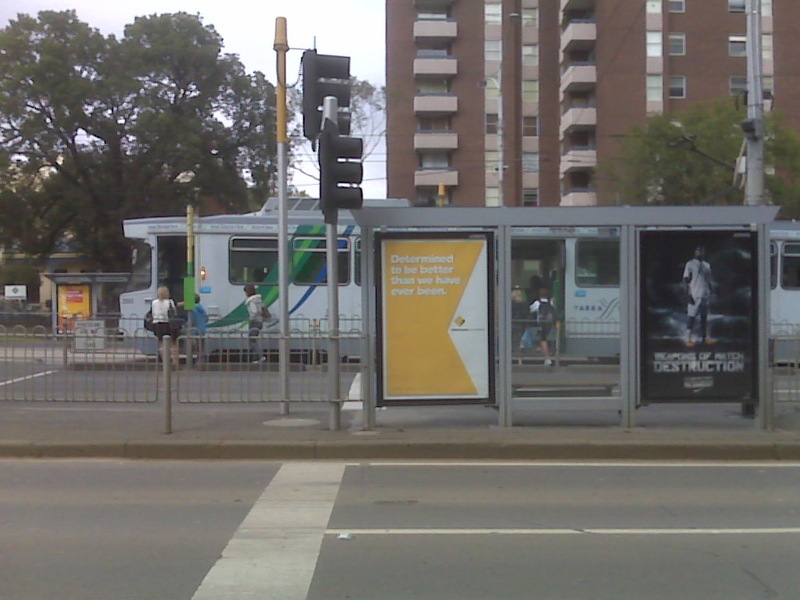 It’s a poster for the Commonwealth Bank. It says “Dtermined to be better than we have ever been”. Which could mean lots of things, amongst which ” We know we’re terrible, and we’re trying to do something about it” springs to mind. It’s a bizarre marketing tack – create the impression that the company knows it’s on the nose. And make a non-specific, completely general, and probably unsupportable claim, that the company’s going to do something about it. Bizarre.